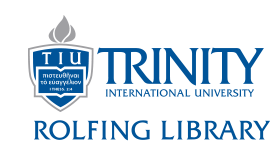 This page displays collections relevant to Trinity International University (TIU) and its historical predecessors. The material digitized comes from Rolfing Library's stacks and the Gleason A. Archer Archives. Both the Swedish and Norwegian-Danish Free Churches had established themselves as loose entities towards the end of the 19th century. As the Scandinavian Free Church denominations settled themselves across the United States in the 20th century, many felt the need for their own schools to teach and train ministers, missionaries, teachers, and good Christian men and women. A call was made and funds were raised by both groups to create schools that would serve their growing populations. The Swedish Free Church, still in its early organization, established a 10-week Bible course in 1897. This eventually grew into the Free Church Bible Institute and Academy. Despite suffering the effects of lower enrollment during the war and great Depression, it would continue as an institution until 1949. The Norwegian-Danish Free Church Association began its own Seminary and Bible Institute (later Trinity Seminary and Bible Institute) in 1910 in Rushford (later Minneapolis), Minnesota. It would continue between periods of financial difficulty until 1949. In 1945, both Swedish and Norwegian-Danish schools agreed to merge, operating as separate campuses until a new location was procured. The two schools settled on a site in Chicago, which became home of the newly-christened Trinity Seminary and Bible College. Its inaugural year was 1950, which was the year the two Free Church denominations merged to form the Evangelical Free Church of America. 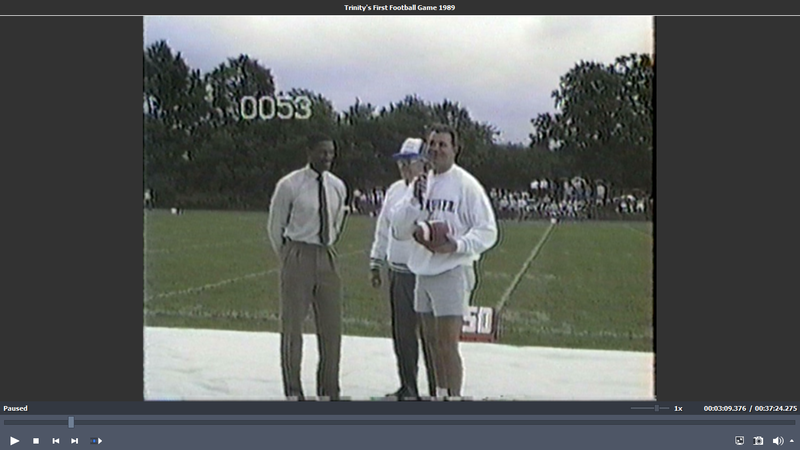 Digitized videos from Trinity's history.